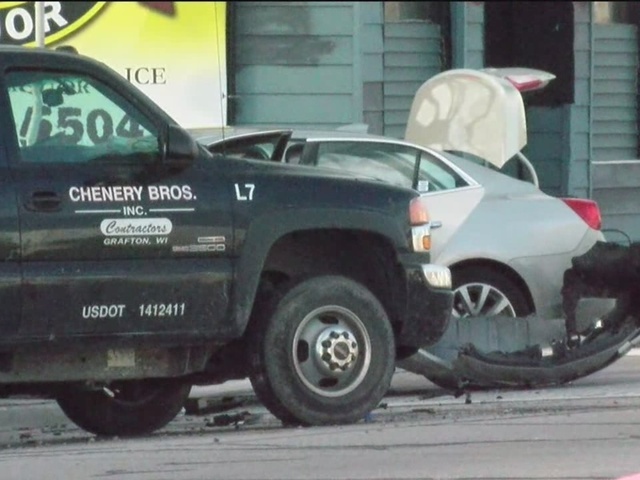 MILWAUKEE -- Three buildings were evacuated Tuesday morning after an accident involving a truck on Milwaukee's north side. A truck carrying at least two, 100-pound propane tanks and car collided around 8:20 a.m. near 5th Street and North Avenue. The collision caused a propane to leak and Hazmat crews were called to the scene. As a result, the surrounding buildings were evacuated as a precaution. There were only three people inside at the time. The fire department tried to stop the leak, but ended up calling in Amerigas to help. 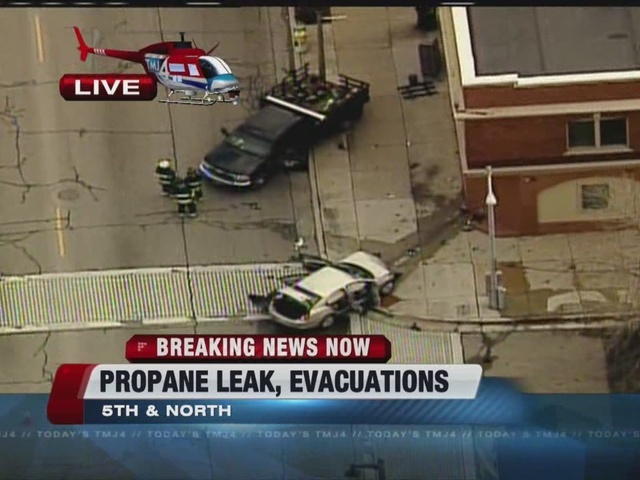 "The biggest issue with that type of scenario is propane is an explosive gas with a relatively high flash point, which makes obviously the situation dangerous for all the people around," said Joel Rechlitz with the Milwaukee Fire Department. The driver of the car was taken to the hospital for non-life threatening injuries.